5. She was a shuriman girl who survived by adapting: For those of you Lore-lovers out there, Kai’Sa would be a treat. She is the daughter of Kassadin, although each one took a clearly different path to reach power. While Kassadin prepared himself to avenge his thought-to-be-dead family, stole the powerful nether blade and challenged the void, Kai’Sa was just trying to survive. A void gate opened in her town when she was 10, and she took the parts of the voidlings she killed to blend with her own skin, gaining their abilities. She survived by creating her carapace, but all her friends and family died. Now she’s considered a monster too, but she fights to keep the real monsters away. 4. She’s a marksman with extremely high mobility: Kai’Sa is special since she’s the only marksman who can engage enemies far away from her. Her ultimate, Killer Instinct, allows her to jump close to a marked target from a huge distance (1500-2500 range), so you can stay absolutely safe until your tanks go in. The mark can be set by your basic attacks, your W (a 2500 range missile skillshot), and most importantly your ally’s hard crowd control, so we can go in only when it suits us. Now, after we go in we have our E, Supercharger, to keep distance from the enemy. Supercharger gives you a short burst of movement speed, and could also give you invisibility (we’ll get to that later), so you can kite properly and destroy all the opposition. 3. She can evolve her basic abilities: Just like Kha’Zix’s evolution: Kai’Sa can also improve her abilities. The difference lies in the means: while Kha’Zix evolves one ability with each ultimate rank, Kai’Sa evolves when reaching certain stats. Her Q, Icathian Rain, a barrage of physical hitting missiles, fires double the missiles the moment we hit 100 AD. Her W, Void Seeker, applies more marks and refunds cooldown when hitting champions at 100 AP. And Supercharger gives you invisibility briefly when reaching 100% Aspd. So, not only we improve the more gold we get, but we can decide with her evolution what build and playstyle we’ll use, more smoothly than other champions. 2. She applies passive stacks with her autos and W: Besides skill evolution, Kai’Sa has another passive: Caustic Wounds. This allows her to deal increased magic damage with each basic attack, applying Plasma stacks on each hit. When the enemy has 4 Plasma stacks, the next auto detonates them dealing a burst of magic damage. 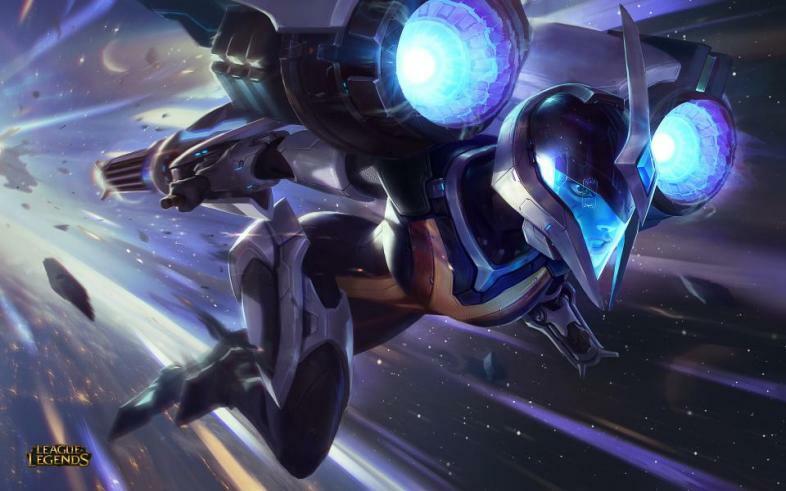 This means that heavy Attack Speed builds can work wonders with Kai’Sa, as the synergy between Aspd and Plasma stacks is undeniably powerful, so try items such as Guinsoo’s Rageblade, Statik Shiv, and Blade of the Ruined King on her. It is worth mentioning that Plasma is what allows Killer Instinct to be castable, Void Seeker applies 2 stacks of it (3 if evolved), and marks granted by ally’s crowd control are also Plasma stacks. 1. BE CAREFUL WHEN YOU GO IN: I know the lust for blood of LOL players, and it’ll happen to you that you’ll see a low-health enemy with Plasma Stacks, and you’d be pressing the R button faster than a Predator Hecarim. But like Cosmo, you must resist the stupidity impulse and stay put. Remember you are the marksman, the big damage, and without you your team will struggle, especially in this meta. Kai’Sa works better when kiting tanks and destroying them, her kit is made for it, so being in the middle of the enemy team is not a good idea. Even if you have invisibility, the best you can do is stay safe and only join good engages. Please, do not go Rambo on a 1 for 1 mission.